The new flasher came today so I put it in. Works fine. But what is up with the old flasher? It took a little careful prying but I snapped cover off the old flasher. There is some ugly soldering on this but I don’t see anything super suspicious. I will take this to work tomorrow and poke at it under magnification. The good news is the Jeep is flashing again. 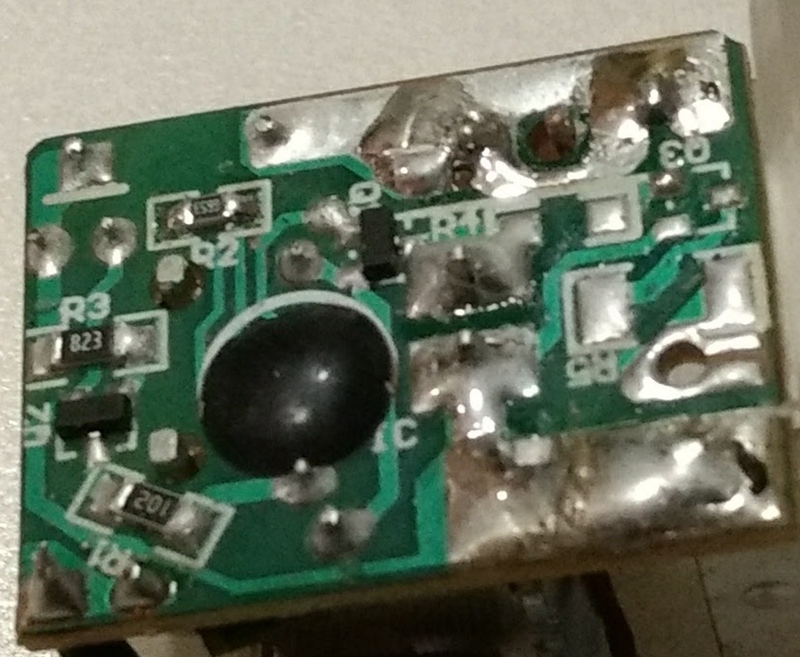 I examined the flasher under a microscope and re-soldered the messier solder joints. It still does not work so I threw the flasher away. Better yet is I drove the car several times over the last week and nothing new broke. So the very next time I drove the car after replacing the speedometer cable the turn signals failed. Emergency flashers worked, but the turn signals did not. Stoplights and emergency flashers were working fine. 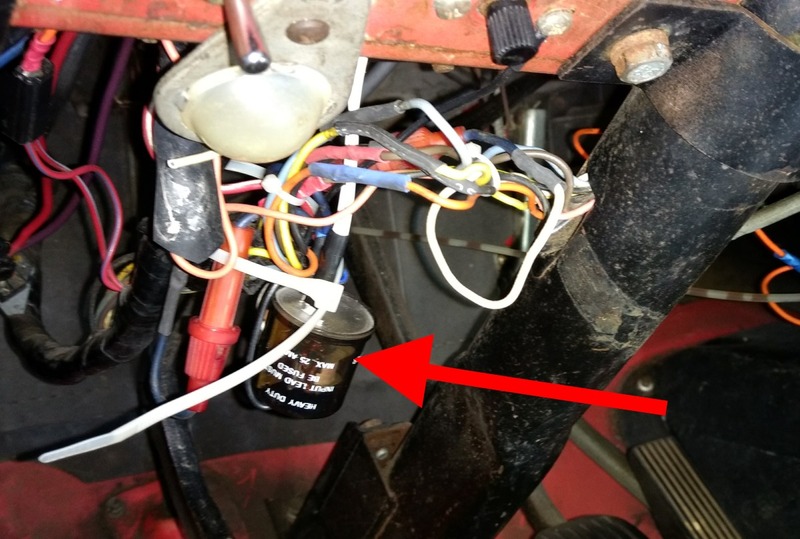 Thanks to page 2 of this excellent diagram I found on the Jeepster Commando Club of America forums I was pretty sure the problem was in the part of the circuit that supplies power to the turn signals. 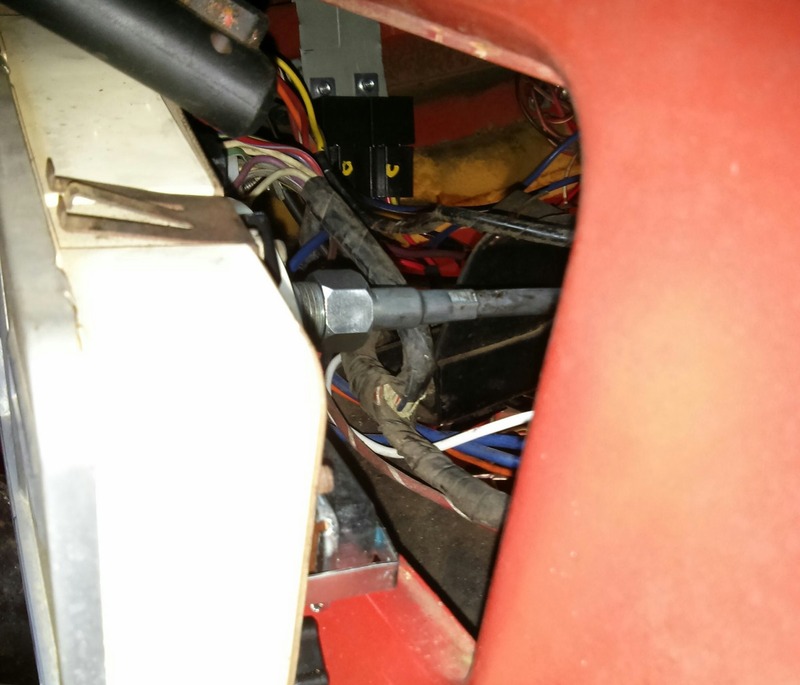 Power goes from the accessory terminal on the ignition switch to the turn signal flasher then to the turn signal switch via the hazard light switch. If I was lucky the problem was at or near the flasher. 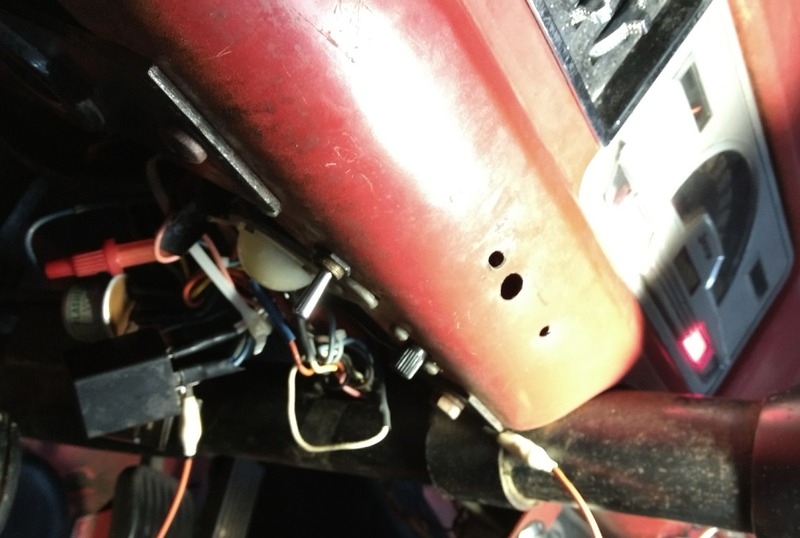 If I was unlucky the hazard switch or turn signal switch failed or a wire broke in the steering column. Assuming I would get lucky I pulled the turn signal flasher out of the rats nest of wiring stuffed up behind the dash. The red arrow points to the flasher. 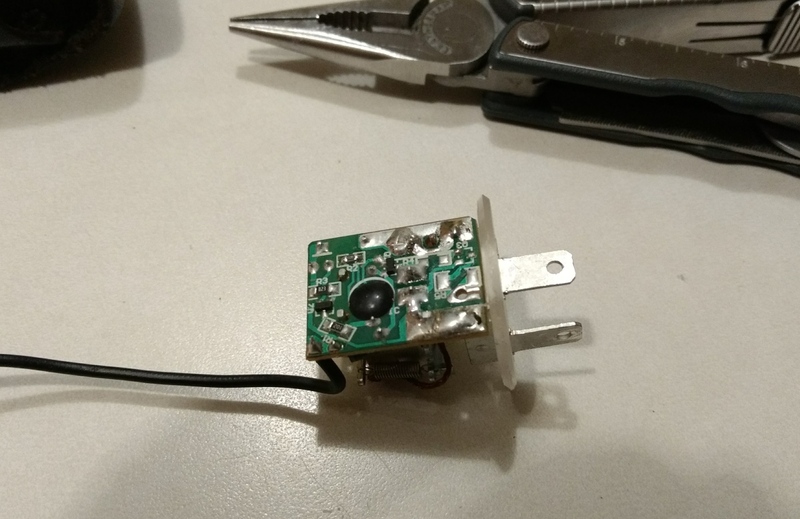 I installed this electronic flasher because the LED taillights I installed do not draw enough current to correctly operate a mechanical flasher. By the way on the page I linked here I said all this wiring would get cleaned up later. I must have been lying. First check is for power on the flasher. I am getting 12V when the key is on. So the flasher is getting power. 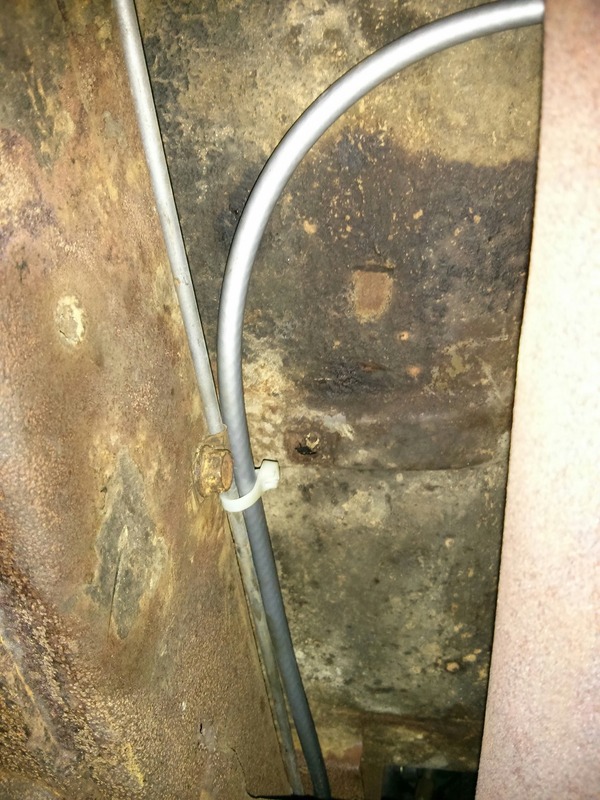 I checked the ground wire too and it was fine. Next I removed the wires from the flasher and tied them together. Turn signals came on. Of course they don’t flash but that means my brand-new flasher broke. I installed this back in September. How much do you want to bet this has a 90 day warranty? It has been a little slow on the Jeepster front for the last few weeks. Between the darkness and the cold I have a hard time motivating myself. 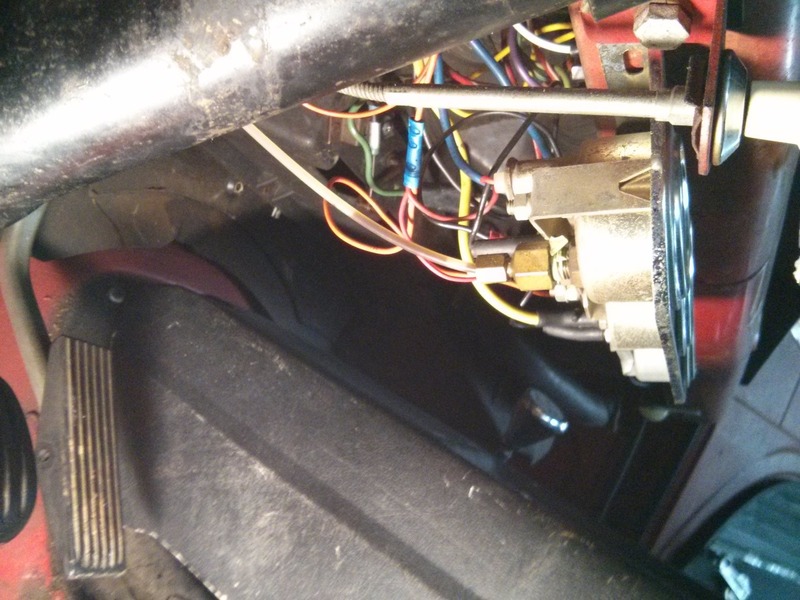 But today I was determined to make some progress and replace the speedometer cable. I got off to rocky start. The passenger side rear tire was flat. These tires were remounted on the re-powder coated wheels back around Christmas but it looks like something is leaking. 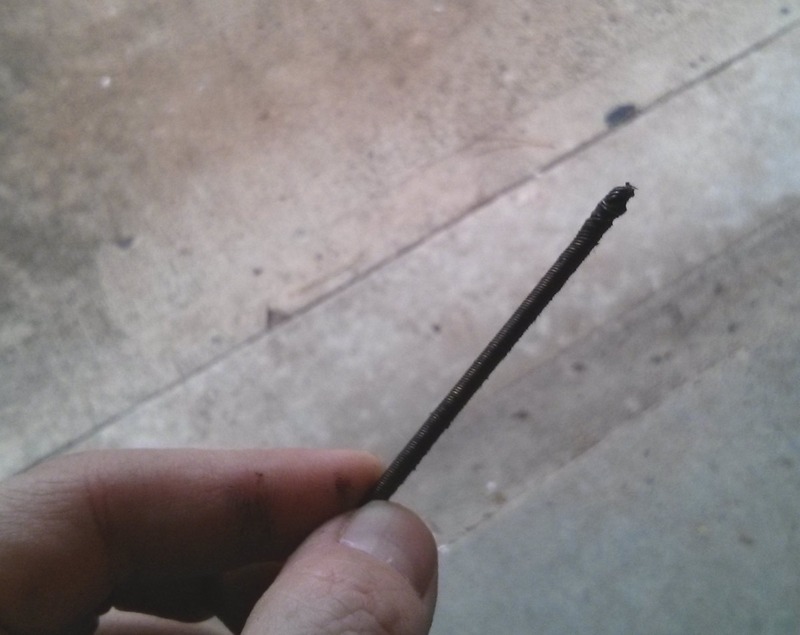 I will have to go back to the shop and get it checked out. 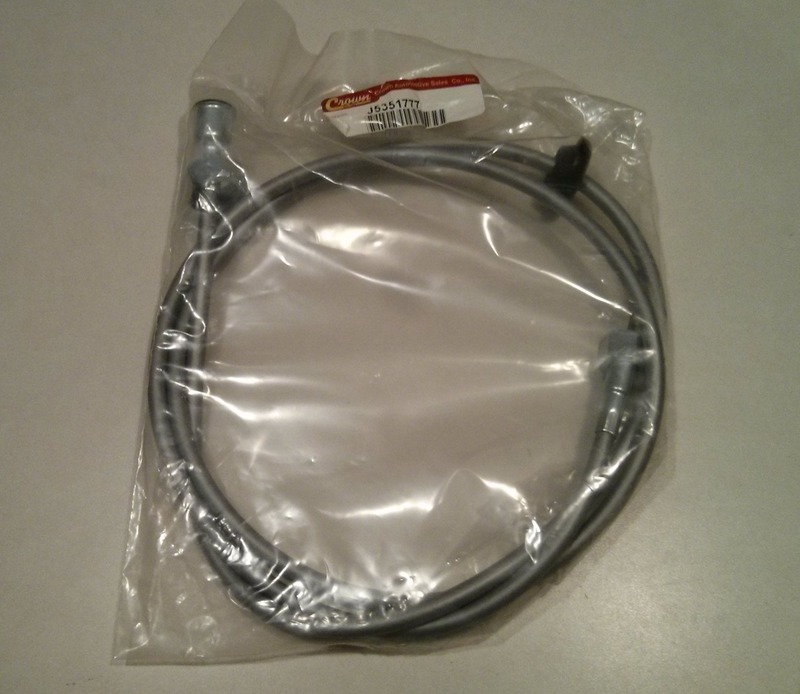 The new cable uses a plastic sheath instead of the wound steel spring from the original cable. That should be better at protecting the cable but who knows? Before installing I lubricated the new cable with cable lube. 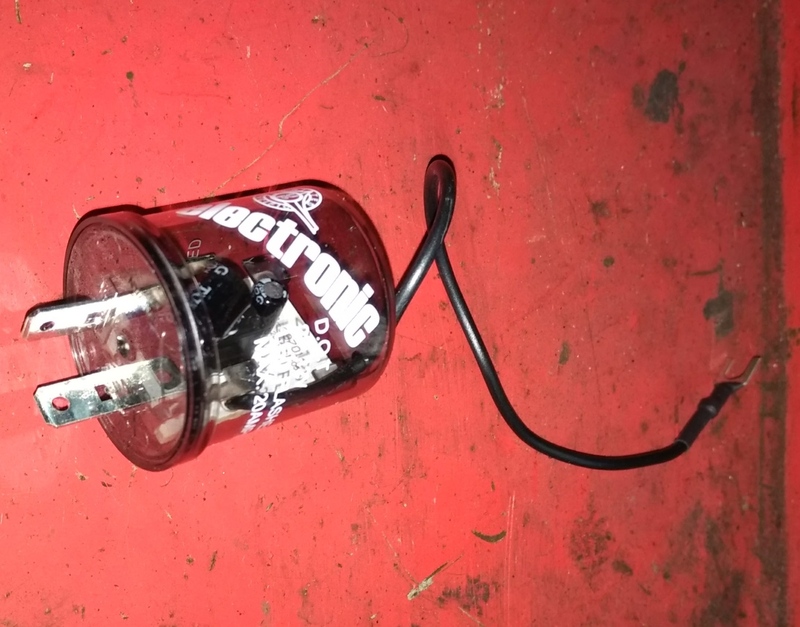 I disconnected the old cable at the transmission and pulled out the core. It looks like it broke right at the speedometer. This is probably my fault somehow from when I cleaned and lubricated the cable back in early November. 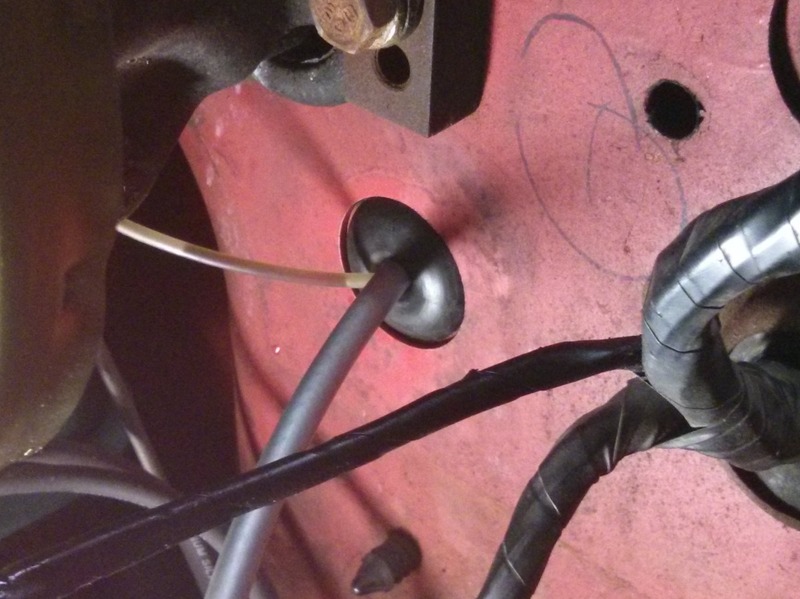 The factory cable runs along the frame rail clipped to the brake line with spring clips. 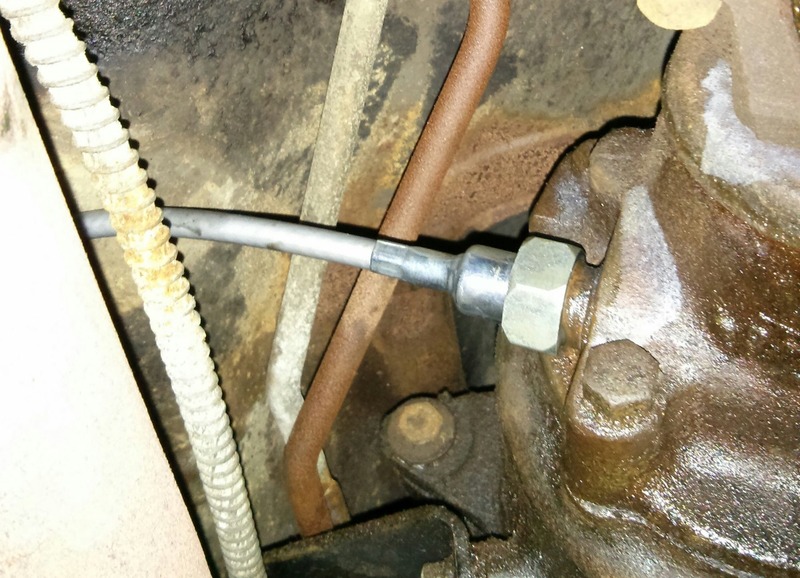 The clips were pinched between the brake line and the frame so I had to take the bolt in the middle there out so I could move the brake line a bit. 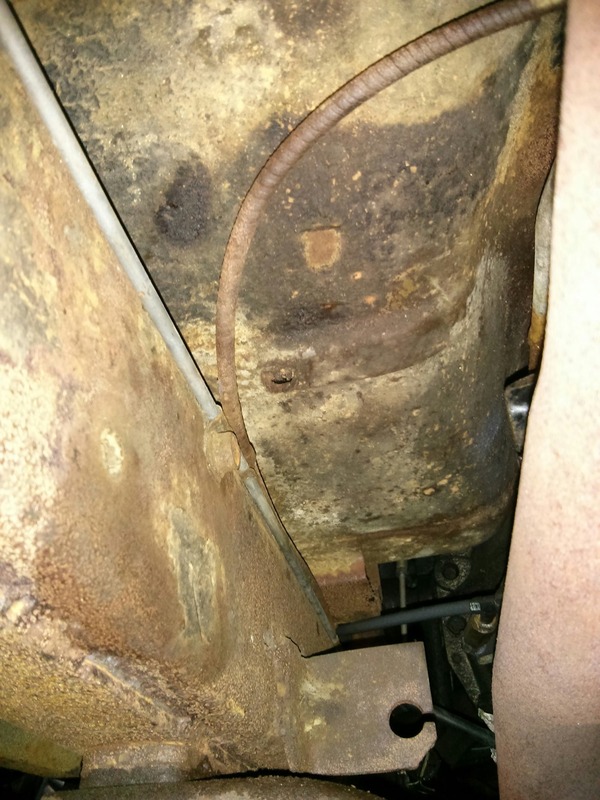 The new cable attached to the transmission. 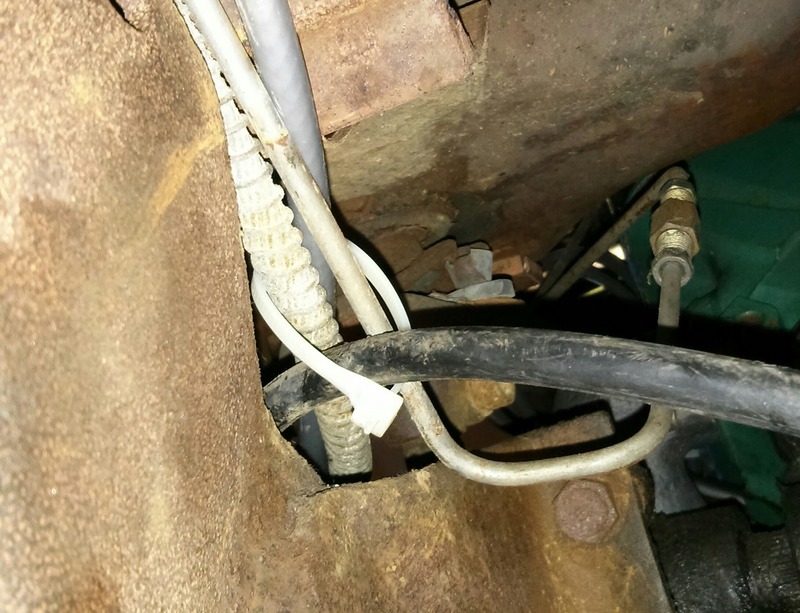 I put another cable tie just below the firewall binding together a wad of brake lines, emergency brake cables, and the speedometer cable. 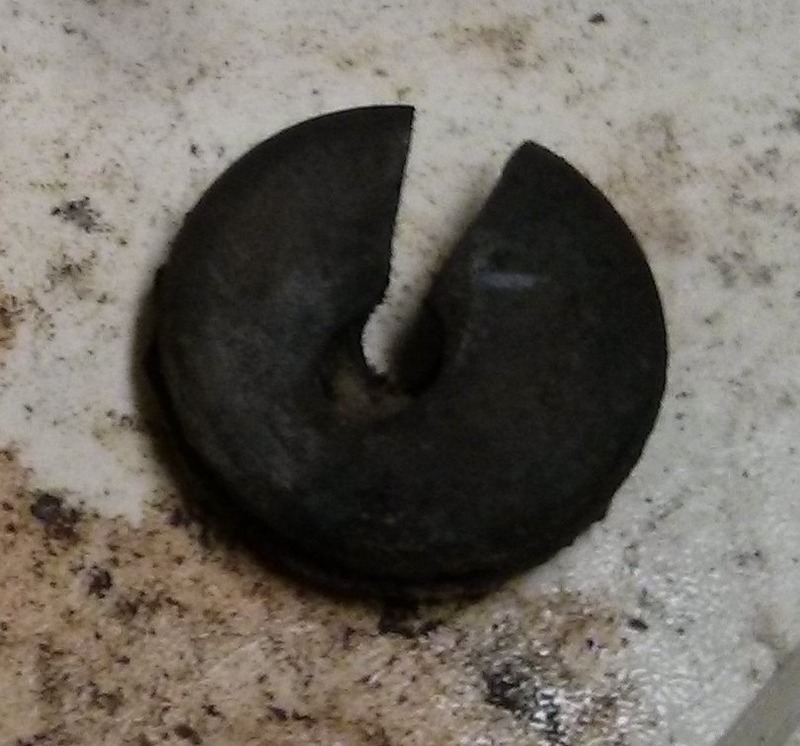 The speedometer cable and oil pressure gauge tube penetrated the firewall through this split grommet. I was very careful taking this out because I was not sure if the grommet on the new cable would work. I got the grommet out intact but it is not in good shape so I am going to have to make the new grommet work. 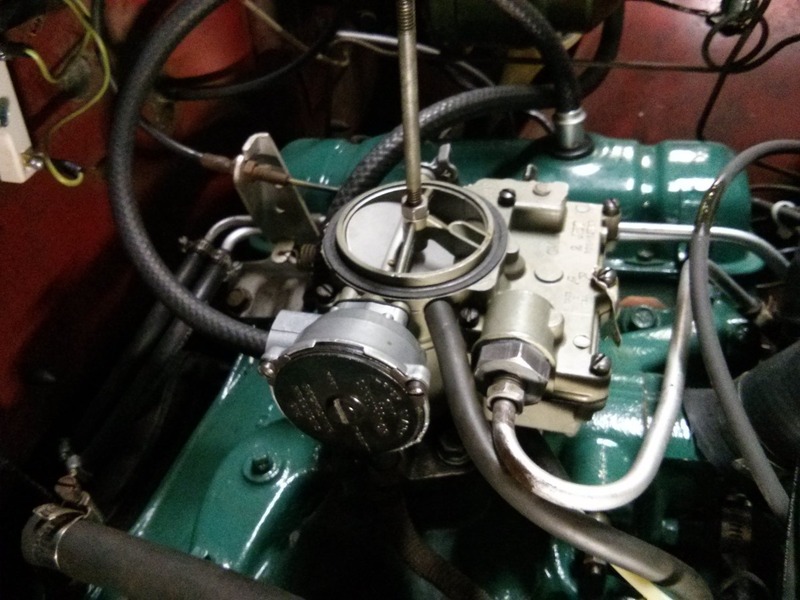 Here is where the oil pressure tube connects to the gauge. I just disconnected the fitting and snaked the tube back out through the firewall. The new grommet is nice and soft. 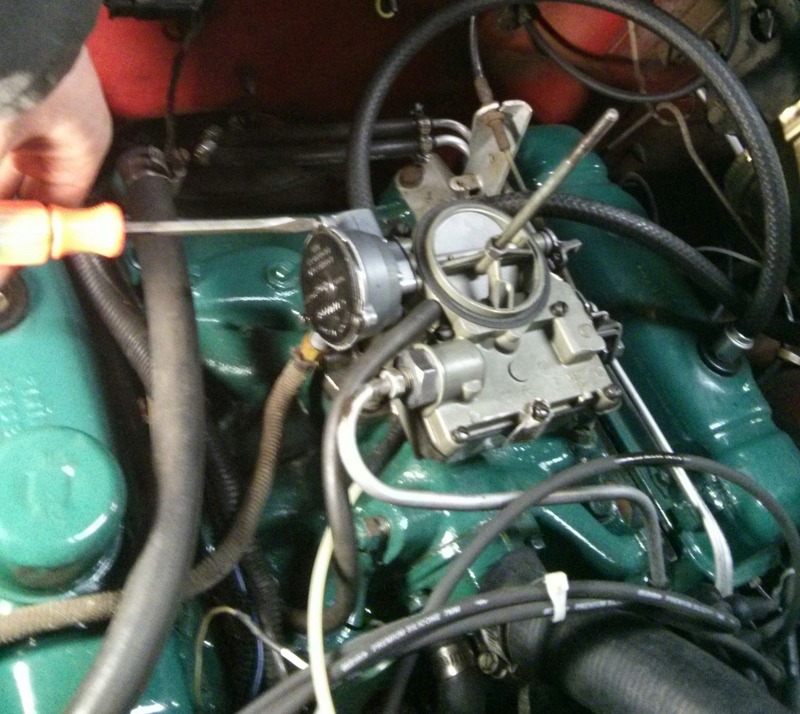 I was able to stretch it out with a screwdriver and feed the oil pressure tube though the center hole. This will work just fine. You can see the firewall hole where this goes in the background. 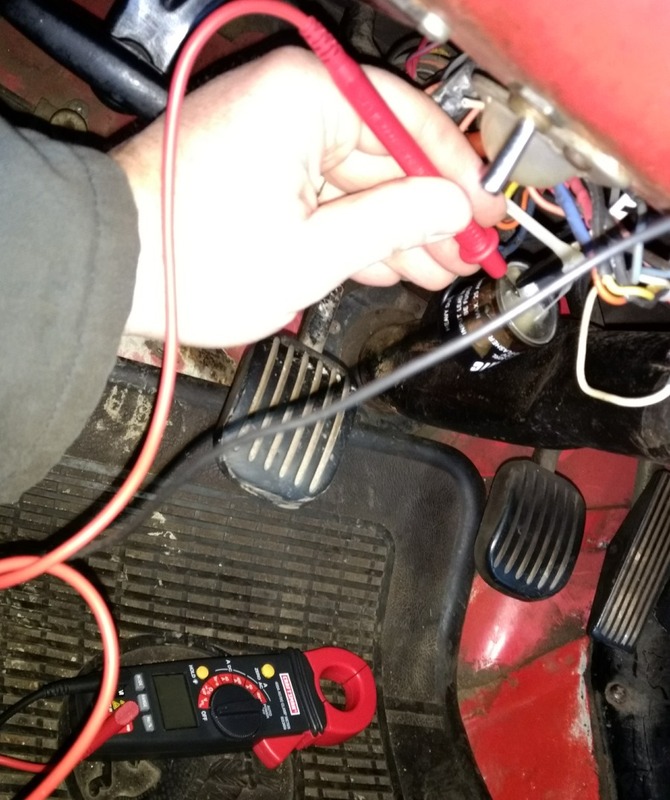 I tried to connect the cable to the speedometer without removing the instrument cluster again but there was just no way for my fat fingers to get in there. The good news is that I have the technique down cold for popping the cluster out so it was not really a problem. I just slid it out an inch or two then connected the cable to the speedometer. Just to be safe I hooked up the batter and tested everything before snapping the cluster back in. Finally I worked the new grommet into the hole. Done! While I was dirty I decided to adjust the choke. The choke has been closing when the engine is still warm, especially now that the weather is colder. Then the engine floods and will not start. 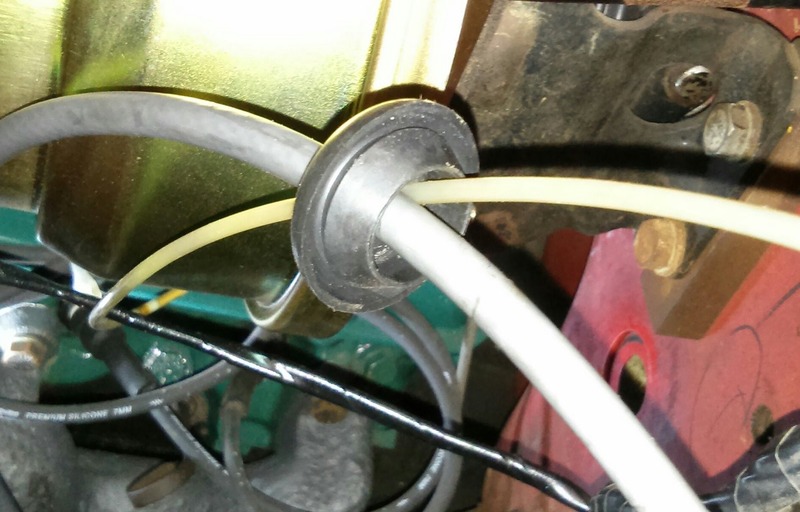 I tried moving the choke plate with the engine dead cold and there was a lot of tension on it. This should help. I loosened the three screws that hold the choke thermostat and rotated it so that the choke was just barely being held closed. Then I put everything back together. I test drove the Jeepster and the speedometer works but still has a “wiggle” to the needle, especially at low speeds. Maybe it will settle down once new cable gets used its new home. I will just keep an eye on it.